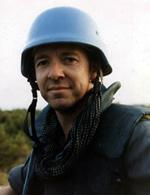 Cambodia, 1992: the most expensive and ambitious operation ever mounted by the United Nations is underway. Lorenzo Hardwicke Bowman, or ‘Hard’, is an easy-going, resourceful and maverick Texan who’s served with the US Marines in Vietnam and Cambodia. He touches down in Phnom Penh as a UN political officer to help restore law and order to a country torn apart by the 1970s Khmer Rouge mass killings. Since his days in uniform in Vietnam’s paddy fields, Bowman’s been around the bazaars. He’s tried his hand at managing an art gallery and been a reluctant lawyer, but, for now at least, it’s time to go back to the field, onto ground zero of south-east Asia. Into the bargain, he’s been transferred from his UN job in Vienna by his iridescent boss, Heidi, who also just happens to be his wife. Bowman’s flamboyant character immediately upsets the fractious UN hierarchy in Cambodia, and he discovers that the comfortable job he expected in Phnom Penh has been unexpectedly allocated to a self-serving bureaucrat. Instead, like Captain Willard in Apocalypse Now, the expendable Bowman is sent upriver on a mission nobody else wants: to investigate the brutal killing of a Cambodian political worker in Kompong Treng, a ramshackle ex-colonial outpost perched on the banks of the Mekong River in a remote province infested with disease, corruption and Khmer Rouge. The monsoon sets in, the casualties mount and nobody is whom they appear to be. A UN chief is hiding a hideous secret and doesn’t want the murder investigation completed, and before long Bowman discovers he must come to rely on unlikely allies. These include not just a former KGB officer with a penchant for poetry, a Filipino policeman who prides himself on his lack of sense of humour and a haunted survivor of the Khmer Rouge massacres, but the alluring Istrian mistress of his hated boss. Haunted by his previous visits to Cambodia during the Vietnam war, especially a gruesome ambush in which he mistakenly killed women and children, Bowman’s path through the Cambodian jungle and Phnom Penh’s alleyways uncovers ghosts from the past. His refuge on regular visits to Phnom Penh becomes the enigmatic Café No Problem, a bar festooned with photographs of foreign journalists who went missing during the fighting in Cambodia in 1970. But even at the Café No Problem Bowman is confronted by an elusive figure who fleetingly appears in faded combat fatigues to take photographs of Bowman and his companions, two of whom are soon dead. It isn’t long before Bowman must rely upon his renegade groups of friends to confront the evil not just from the past, but that hiding inside the United Nations mission itself. At once a fast-paced literary thriller and murder mystery set inside the ramshackle guts and glory of a huge UN peacekeeping mission, Café No Problem is an inventive, humorous and consistently surprising novel, written by an author who has breathed, lived and seen the extraordinary scenes he describes.